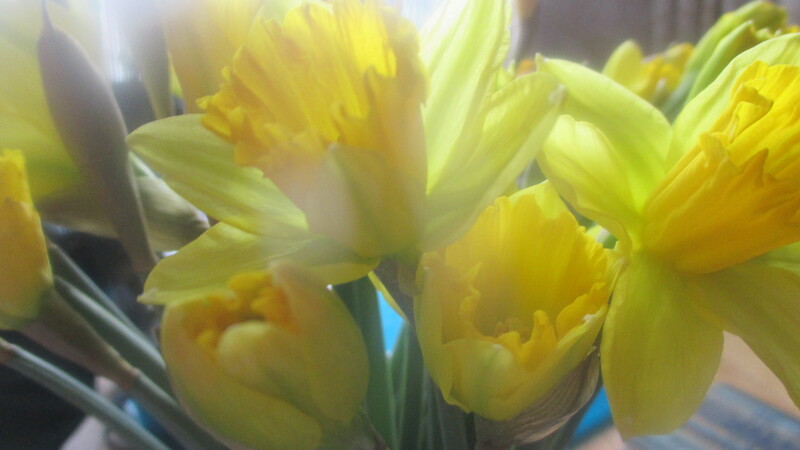 Yes, they’re daffodils, and no, they’re not edible, but I’m trying to cheer myself up and not bring all of you down. Cough, cough, hack, hack, up in the middle of the night, cough, cough, hack, hack. Are some of you out there the same? Pity us.